Fight for Fifteen has won unprecedented victories. The National Employment Law Project reports that in its first four years Fight for Fifteen created the pressure to win 19 million low-wage workers a total of $61 billion in annual raises through state and local legislation raising the minimum wage, and employers pressured to raise their minimum pay. Yet the movement has been the subject of exaggerated, often snarky and dismissive, critical comments from a number of left writers. The reality is that the huge scope of the movement is impressive, spreading quickly to more than 300 cities. Fight for Fifteen seeks to organize all the fast food workers in the downtown area of a city. 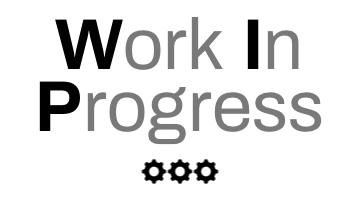 The campaign targets scores of worksites and multiple employers. Given that, according to the Social Security Administration, half of American employees gross less than $30,000 a year, it has tremendous appeal and has spread far beyond fast food workers to employees in dozens of other occupations. It is the largest protest movement by low-wage workers in American history. The duration of the movement is praiseworthy. 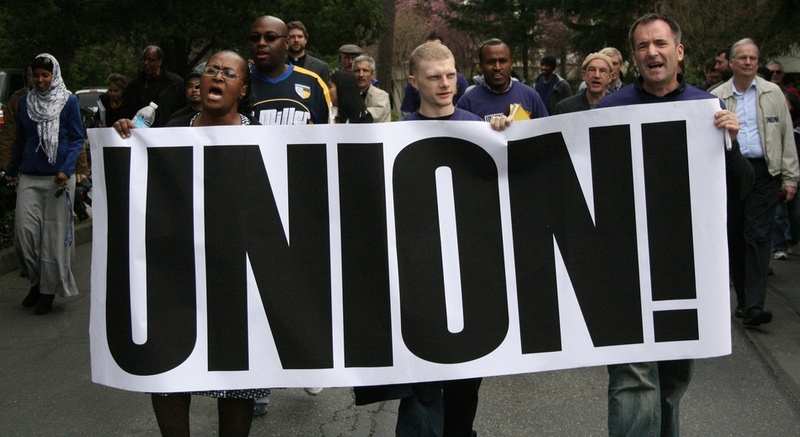 Most traditional union organizing campaigns are relatively brief, lasting a few months. The Fight for Fifteen movement is not focused on a Labor Board administered election. They instead seek to build a workers’ movement with popular support that pressures the companies to recognize the union and negotiate a contract – a strategy first pioneered by SEIU’s Justice for Janitors campaign in the 1990s. The SEIU has spent tens of millions of dollars on this campaign, far surpassing the organizing efforts of other American unions. But Fight for Fifteen activists fight for both $15 an hour and a union. There is no doubt that Fight for Fifteen’s goal is challenging to reach and would likely have the same dramatic impact on labor relations as the victorious 1937 auto sit-down strikes had. Given the huge wage victories that Fight for Fifteen has achieved, it would be a mistake to underestimate the ability of the movement to win unionization. However, the mantra of some progressive critics can be summarized thus: “In addition to wage increases, the second major goal of Fight for Fifteen is a union contract. But Fight for Fifteen has thus far failed to achieve that. Therefore, Fight for Fifteen must be doing something wrong. The truth is that union organizing in America is incredibly difficult given the weakest labor law among wealthy nations and a decades-long assault on unions by corporations and politicians that has escalated in recent years and is worsening since the 2016 election of Donald Trump as president. There were an impressive 1,200 people at the first Fight for Fifteen national conference outside Chicago in July 2014, 1,300 at the second convention in Detroit in June 2015, and 2,000 at the third convention in Richmond, Virginia in August 2016. Of course the movement is constantly working to increase the size of its activist base. As one would expect, polls show overwhelming support among low-wage workers for the Fight for Fifteen movement. As well, a 2017 Pew poll found that sixty-six percent of those earning under $30,000 a year have a favorable view of unions including seventy-five percent of those aged 18 to 29. However, as in all union organizing drives, there is a deep fear that workers will be illegally fired for Fight for Fifteen activity, or have their hours cut. As it is, workers’ hours are usually part-time and erratic. Since 2012, Fight for Fifteen activists have been having tens of thousands of conversations around the theme of “If we fight, then we will win.” Seven little words, but the heart of every organizing effort in every social movement. It is puzzling that some progressive critics find Fight for Fifteen’s strong media campaign something to attack. Changing the national conversation about the minimum wage is vital. You can’t win without changing the narrative. Fight for Fifteen has done more to change the narrative in favor of workers’ rights and raising wages than any other labor or workers’ rights movement in our lifetime. Too much of labor is still stuck in the old AFL’s “pure and simple unionism” framework of focusing exclusively on fighting for a contract for their own members, rather than proclaiming a consistent message of liberating and uplifting all working people. When labor is perceived as fighting for “just us” instead of “justice,” then labor cannot win popular support and is far more vulnerable to defeats. When a workers’ movement like Fight for Fifteen starts an unprecedented national conversation about ending working poverty, it should be embraced by the labor movement and its messaging model should be replicated. The question for progressives and union activists should not be “what are FFF workers and organizers doing wrong that they haven’t garnered larger worker participation or won union recognition?” Instead the pertinent question is “where the heck is the rest of the labor movement?” The bulk of the labor movement, in Chicago or most cities, is not actively supporting this movement. There is of course nominal support. Everyone in labor is for workers’ rights and for the right of workers to form a union. This inactive support reflects an unwillingness for much of organized labor to actively live out in practice the word “solidarity” or the labor mantra “an injury to one is an injury to all.” And it reflects the fact that the bulk of unionized workers make more than $15 an hour, so it is not viewed as in the immediate interests of these workers to join the protests, especially when their leaders are not educating and organizing on this issue. We are at a crossroads. If Fight for Fifteen is to spark a nationwide, broad-based labor upsurge, then unionists and progressives must come together to make the fight of low-wage workers a top priority. The labor movement cannot afford for the Fight for Fifteen movement to disintegrate short of its goal of unionization of low-wage workers. Steven Ashby, “Assessing the Fight for Fifteen Movement from Chicago,” Labor Studies Journal 2017. Steven Ashby, a labor educator for twenty years and long-time labor activist, is a full clinical professor with the Chicago Labor Education Program of the University of Illinois.